Produced by The Dap Kings, the same funky bunch that produced Amy Winehouse's Back In Black and the sample for Jay-z's “Roc Boys,” “Calypso Blues” is possibly Theophilus London's first adventure in organic vibes. It's a continued homage to the great soul brothers before him as the track is a Nat King Cole cover. Theophilus London is committed to his current storyline of being an exile stuck on standby flights that keep him away from his lover-to-be. He recently dropped a video for “Hey Wonderful,” which features an incredible Stevie Wonder refrain, that places him in Amsterdam and Brussels, still on his search. 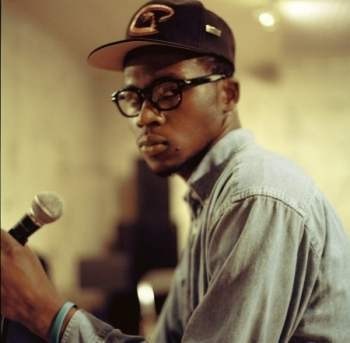 Hey Wonderful – Theophilus London from Theophilus London on Vimeo. But it does not end there. His flight boy life that had him searching for his love on I Want You has landed him in Trinidad and Tobago for Carnival, which makes sense considering the dancehall influence of “Julia”(Remix) at the end of the mixtape. On “Calypso Blues” he's reached his place of exile as he sits by the ocean, a failure at his quest to obtain his illusive mistress. Let's hope this is a glimpse into a budding future of collaboration between the Mr. Theophilus and The Dap Kings as “Calypso Blues” is a funky Caribbean street theme, worthy of taking to the cobblestones and chanting along to Theophilus' why-oh-whys as you push up ya lighters.